England's oldest purpose-built gaol dates back to 1330 and sits just behind the Market Place, through the historic Moothall arch. Step into the oldest purpose-built prison in England. Descend into the dungeon, peer into the gloom and imagine confinement in the dark awaiting trial in the nearby Moothall. Meet the gaoler to learn about the treatment of criminals then put yourself in the prisoners’ shoes and try the stocks for size – if you dare! Learn about the laws of the Borders and the powerful March Wardens. Trace the Reiver family names and uncover your own connection to the area’s history. Find out about the weaponry and armour. Watch as the trauma of life and the ever-present threat of violent family feuds is brought vividly back to life on film, then meet the family recounting tales around the kitchen table. Dig deeper into the culture of the Borders through the Border Library Collection, dip into the music archive and listen to recordings. 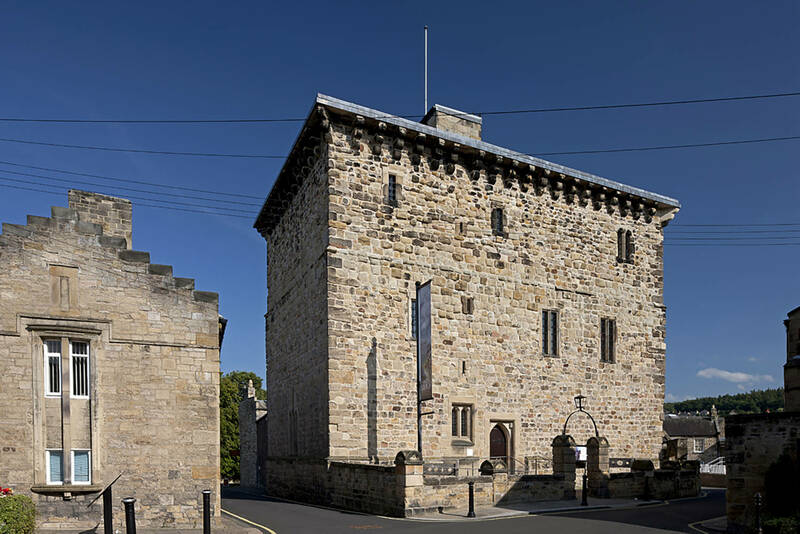 Enjoy the regular hands-on family activities and visit the temporary exhibitions from Medieval life to local history too. The Museum also runs Medieval Life sessions and Tudor Workshops for educational groups. Don’t forget to visit the gift shop before you leave and browse a delightful selection of books, gifts and mementos.